Chances are on hot, sultry days you are glad your central air conditioning is working. But do you know how it works? Here is a quick tutorial on how, with a few well-coordinated components, the inside of your home goes from hot to heavenly. In a nutshell, central air conditioning borrows your heat handling unit — for example, a forced hot air furnace or heat pump and duct fan — in order to deliver cool air to your entire house. There are three main components to central air conditioning. The outdoor unit, otherwise known as the condenser and compressor. The indoor unit, otherwise known as the blower coil or evaporator. The indoor thermostat, which regulates temperature. Air conditioning cools the home with the cold indoor coil, called the blower coil or evaporator. The condenser — the hot outdoor coil — releases the collected heat outside. Both the evaporator and the condenser are made up of tubing, usually copper, surrounded by aluminum fins. 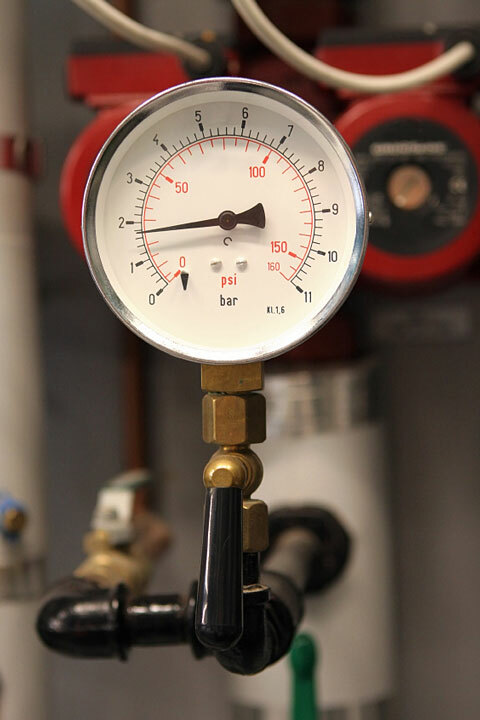 A compressor pump moves the refrigerant between the evaporator and condenser. Cold refrigerant fluid is pushed through the indoor evaporator coil, cooling the adjacent fins as the refrigerant evaporates. Heat is drawn out of the air as it flows across the evaporator fins, thereby cooling the house. Finally, the hot refrigerant gas is pumped into the outdoor condenser unit where it loses heat and is compressed to a cold, liquid state, ready to be pumped back indoors to the evaporator coil. Central air conditioners usually have two numbers associated with them. One is the number of BTUs, or British Thermal Units. Each BTU corresponds to the amount of energy needed to raise one pound of water one degree Fahrenheit. An air conditioner with a higher BTU rating will cool a larger space. It is important to get the right size air conditioning unit. Too small a unit won't adequately cool the house. Too large a unit will cycle on and off too frequently, and won't properly dehumidify the air. The other number associated with central air conditioning units is the seasonal energy efficiency ratio (SEER). All units are rated according to SEER, which basically is the cooling output divided by the power input for a hypothetical United States climate. The higher the SEER rating, the more efficient the unit. For more detailed information, please visit the Energy Star Central Air Conditioners page and the American Council for an Energy-Efficient Economy's Air Conditioners page.